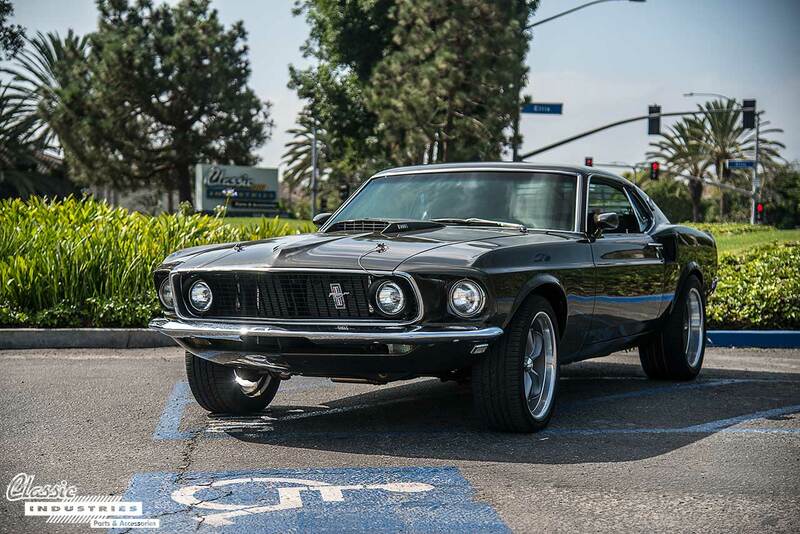 The 1969 Mustang Mach 1 pictured here belongs to Leo Cerda, of Victorville, California. 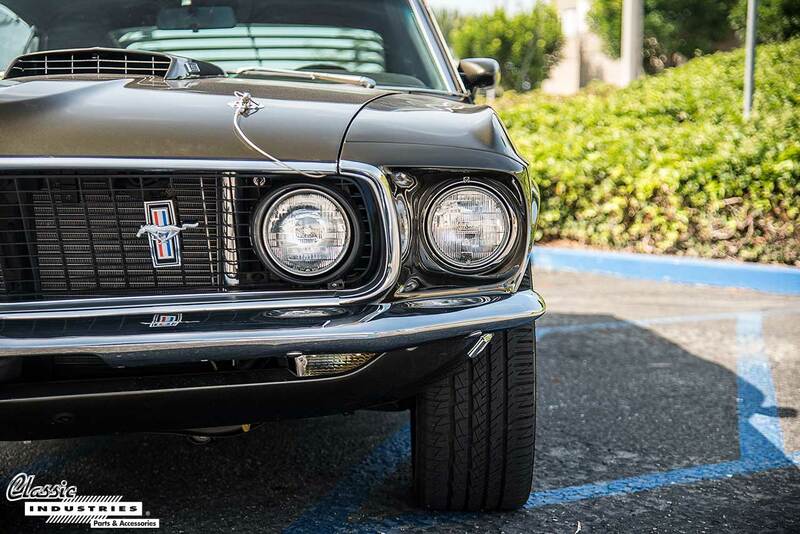 Leo stopped by the Classic Industries Retail Showroom to pick up some parts, and was gracious enough to let us take a closer look at his beautiful Mach 1. 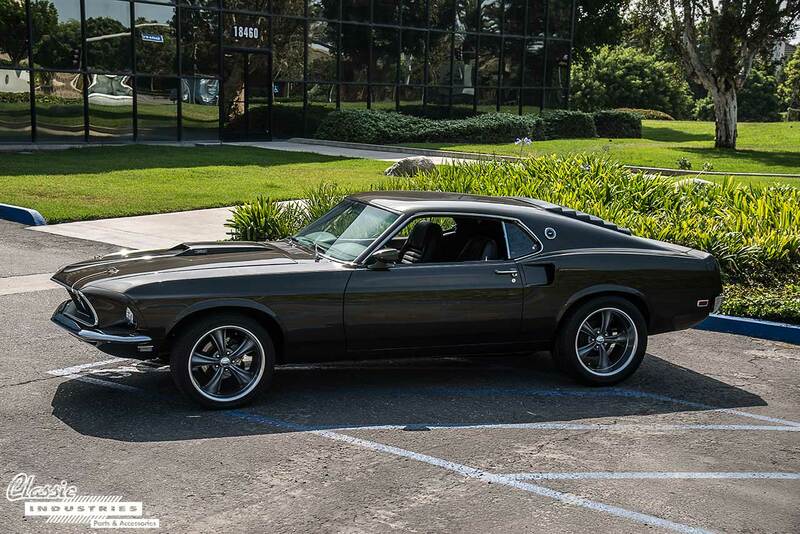 Leo tells us that he has a strong attachment to the '69 Mach 1, since a car just like this one was his mom's daily-driver for many years. He says he grew up going on rides in the Mustang and hearing the V8 roar, and he knew he'd have one of his own someday. 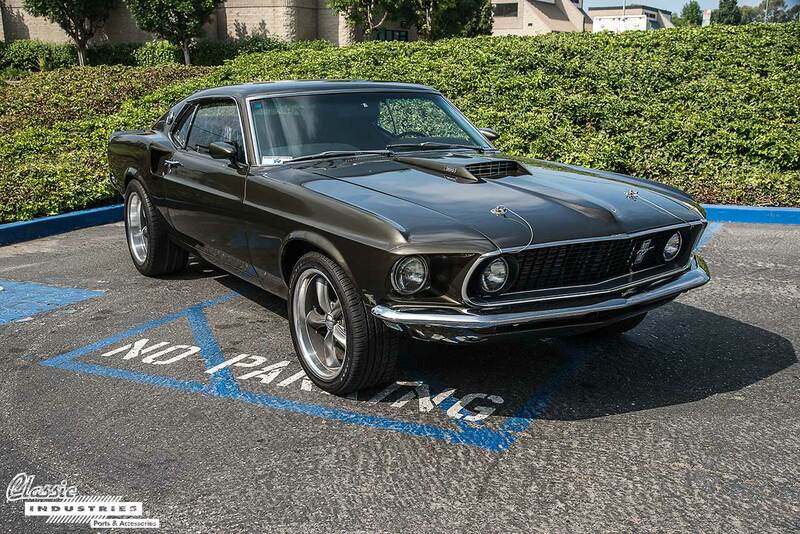 This Mach 1 has been fully restored from bumper to bumper, inside and out. The exterior was repainted in the distinctive Black Jade color, and the grille, bumpers, lighting, trim, and glass were all replaced. A set of staggered gunmetal 5-spoke wheels and a performance suspension add to the aggressive look. 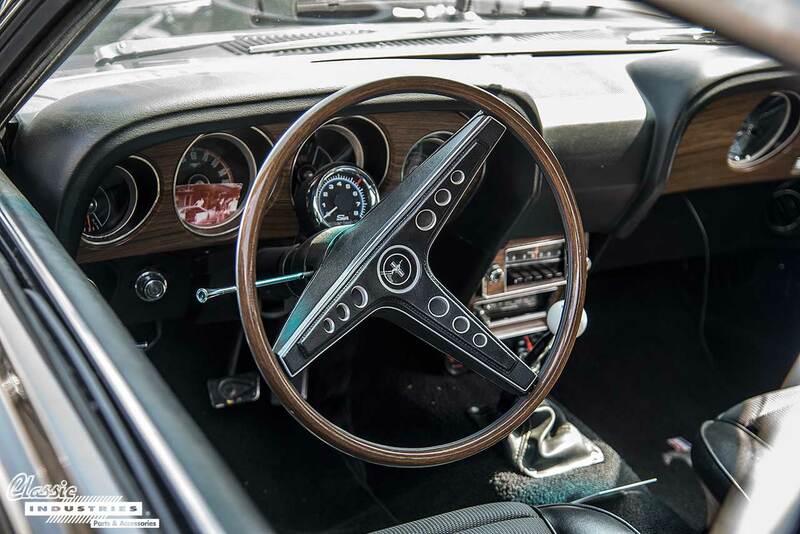 The interior of Leo's Mach 1 features new black carpet and bucket seat upholstery, as well as a reproduction black dash pad to replace the faded original. Leo added a column-mounted tach to go with the 4-speed floor shifter connected to a Toploader manual transmission. 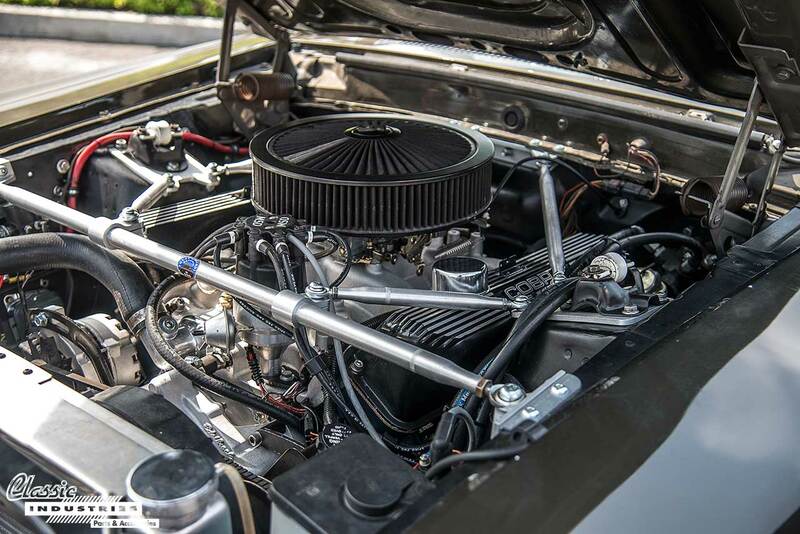 This Mustang is powered by a 390ci V8 with an upgraded 4-barrel carburetor, high-flow exhaust, aluminum radiator, and numerous other performance upgrades. Leo always enjoys rowing through the gears in his Mach 1. Since he restored it, he has been able to relive the good memories of his childhood and make many new ones with his family. 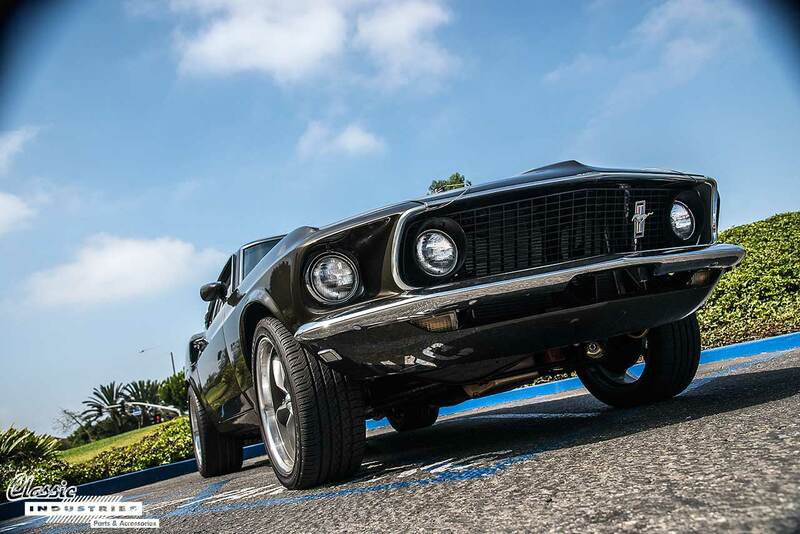 If you own a Mustang, Classic Industries can help you restore it to original condition or upgrade it into a high-performance street or track machine. Click here to get your free full-color Ford Mustang parts catalog.